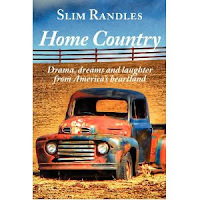 Over the years Slim Randles, a writer who has quite a way with words, has shared his wit and wisdom with the readers here at The Blood Red Pencil. As a way to thank him (see how I tied this to our Thanksgiving theme?) I thought I would pimp his books. Every one of them would make a terrific gift for readers on your holiday shopping list. I am especially fond of Home Country, as that is also the title of the column that he so generously shares with me to use here and on my own blog. This is a collection of humor and philosophy that speaks to the important things in life like love and friendship and fly fishing. The column is currently featured in several hundred newspapers across the United States, with a readership of over 2 million. 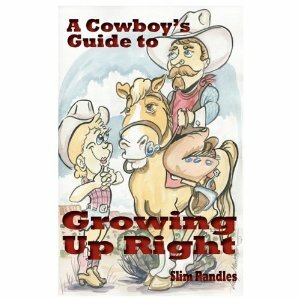 A Cowboy's Guide to Growing up Right is a delightful collection of essays that do just what the title suggests, offering tips on how to walk the right paths and keep focused on what means the most in life. Slim has been a hunting guide in New Mexico and Alaska, made the first solo dogsled trip across Alaska's Arctic Slope, paddled a canoe down the Yukon River, built a log cabin 12 miles from the nearest road, drove a dog team in the first Iditarod Race, packed mules in the eastern High Sierra and roped calves in rodeos. 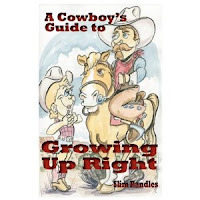 All of those experiences taught him a lot about what we can learn from nature and animals, and he shares that with his wry touch of humor in this book. The book has won the 2012- National Federation of Press Women Book Award for Inspirational Books. Sweetgrass Mornings is a memoir that has equal doses of humor, tenderness, and drama as Slim recounts his many adventures. His writing is as easy-going as an afternoon ride across a meadow and is sure to please readers of any tastes. One does not have to love horses and cowboys to enjoy his work, although there is a special appeal for those of us who love the smell of leather. Maryann Miller is a novelist, editor and sometimes actress. Her latest release is Stalking Season, the second book in the Seasons Series, which would also make a wonderful holiday gift. The first book, Open Season, is available as an e-book for all devices. To check out her editing rates visit her website. When not working, Maryann likes to take her dog for a walk and work outside on her little ranch in East Texas, and sometimes she plays on stage. Where can you seek the ways of the loon? Whre can you take a trip to the past? Where can you travel the breadth and length? Where can you learn how to get wealthy? Just sit down now and take a quick look! You decide whether you win or lose. Your passport is the book in your hand! Thank you, Maryann! These look like great books. And Linda--love this poem. How sadly apropos that it hung in an indie book story, closed by a chain . . .
Good gracious, what a resume Slim has! I'm going to look for Home Country for my husband for Christmas. Thanks for sharing that poem, Linda. So nice. Helen, if you go to the link in the blog for Home Country it should take you to a place where you can get an autographed copy. If not. e-mail me and I can put you in touch with Slim. He would happily send a signed bookplate.